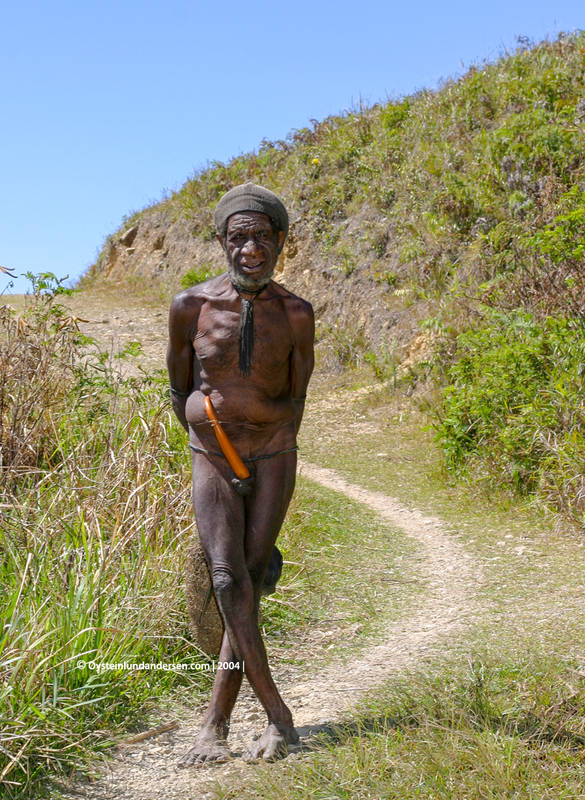 Updated: 02/04/2018 – Replaced photos with newly edited high-resolution photos. 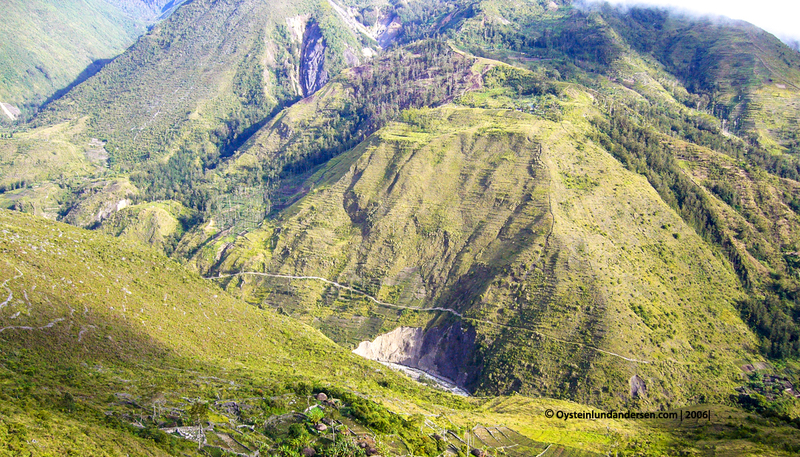 The Baliem Valley, also called Shangri-la by American pilots that first spotted the valley’s population in the 1940`s. 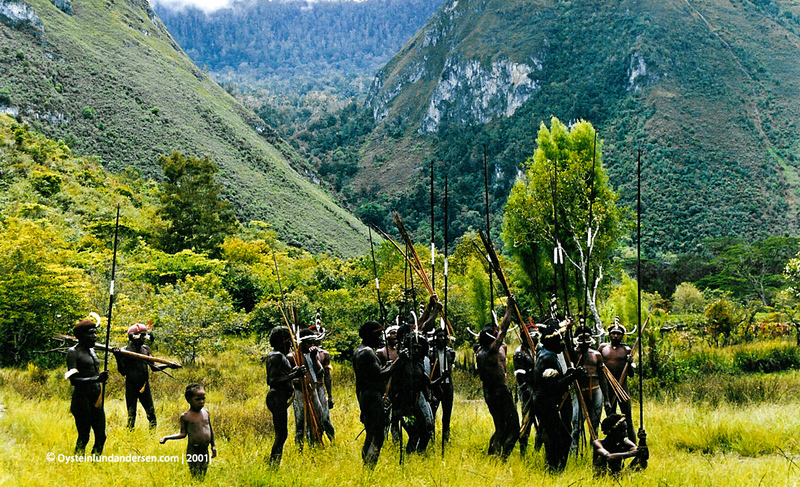 Before then, this part of the highlands was thought to be unhabited by people, but it wasn’t before the pilots saw people here aiming with spears and arrows, they was just in for a surprise that this was a quite “developed” area of the highlands. 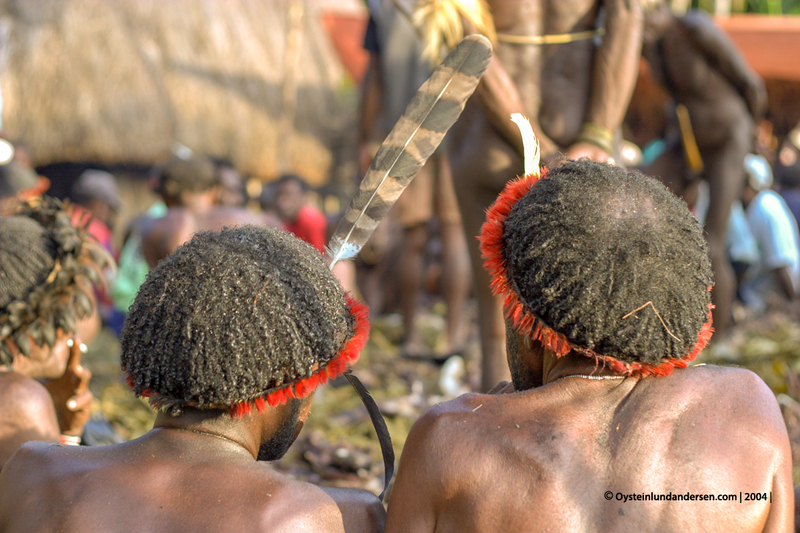 Developed, as in having many innovative organizational and material innovations, however ofcourse being within their traditional culture. 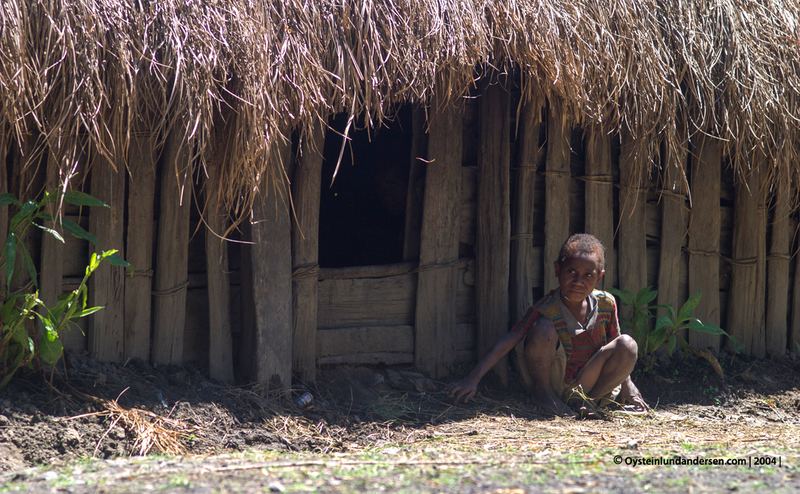 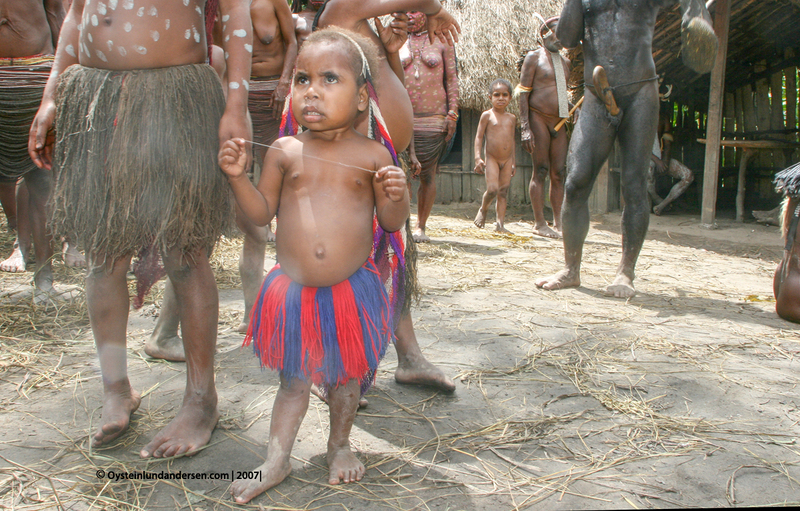 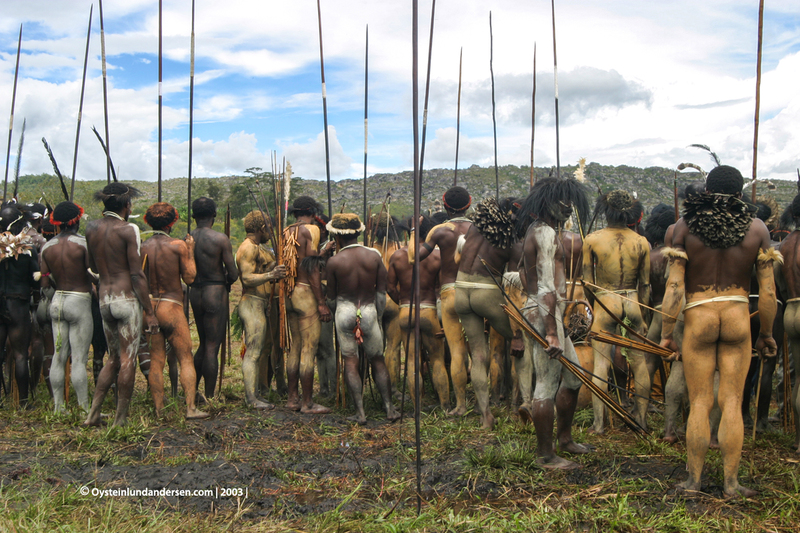 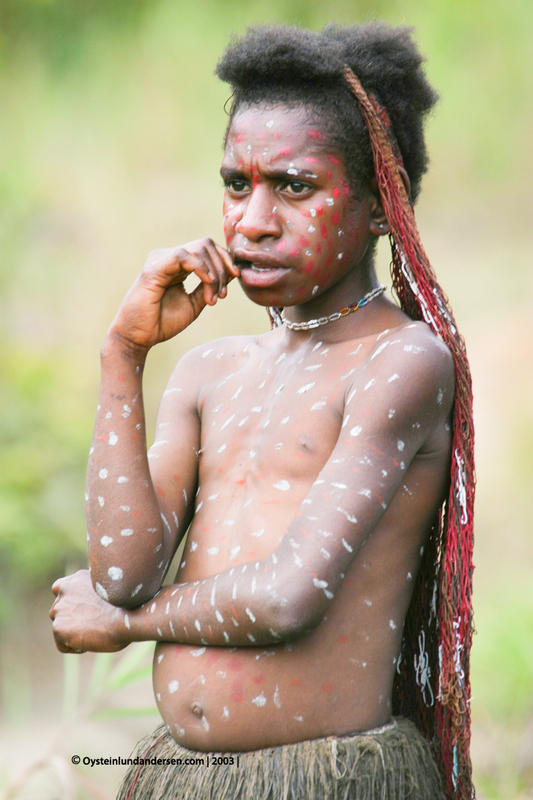 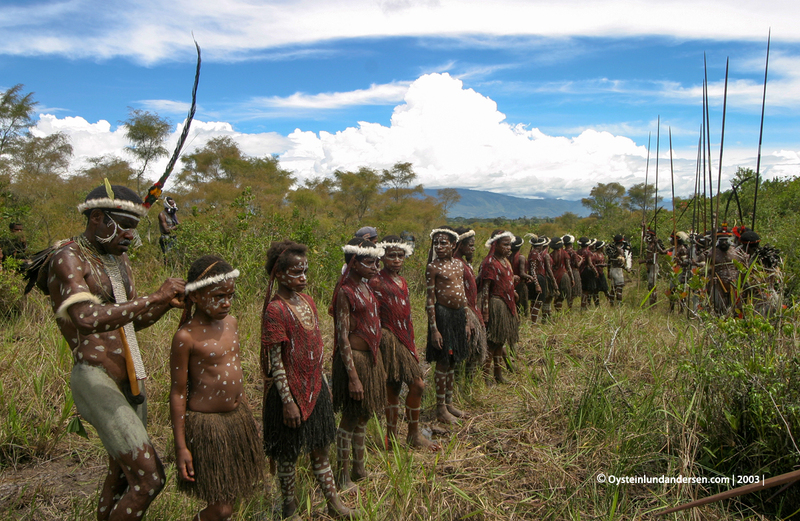 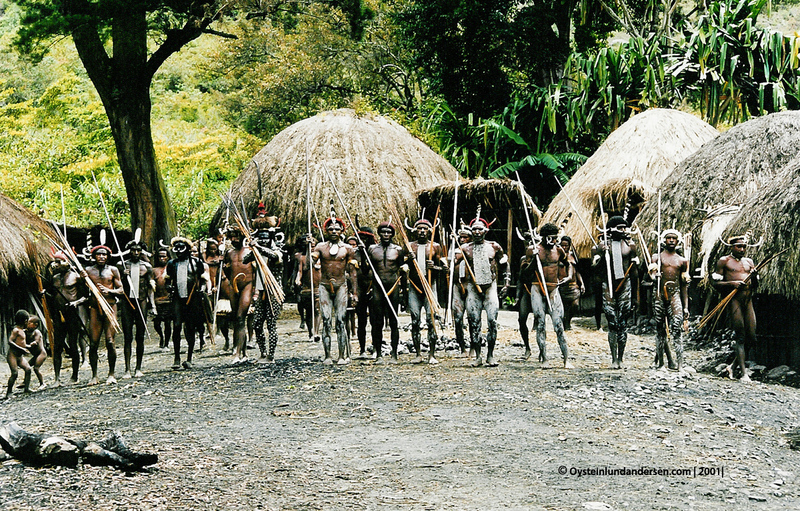 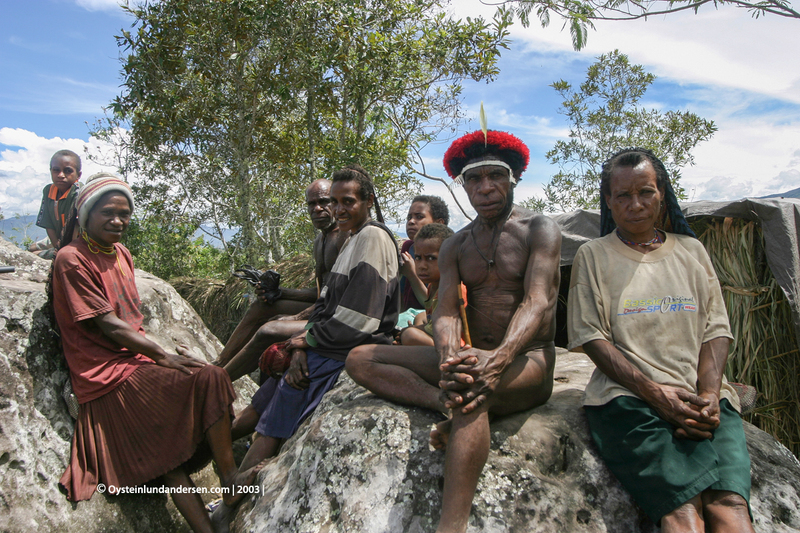 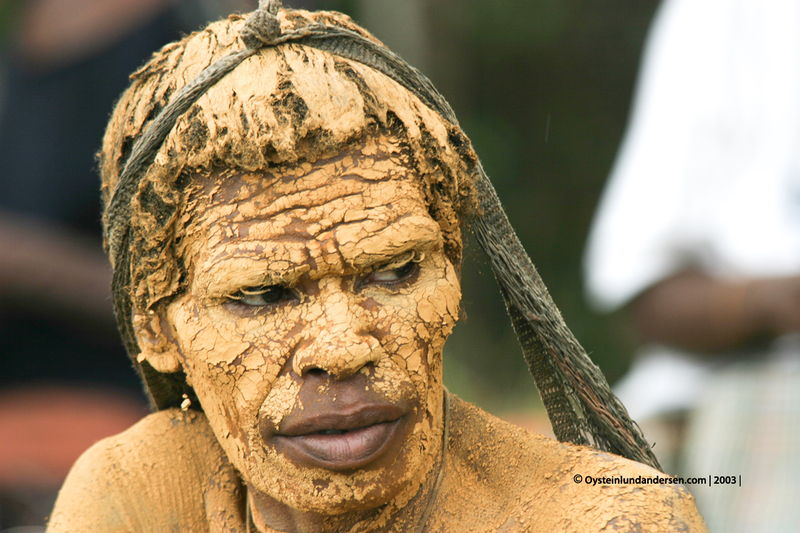 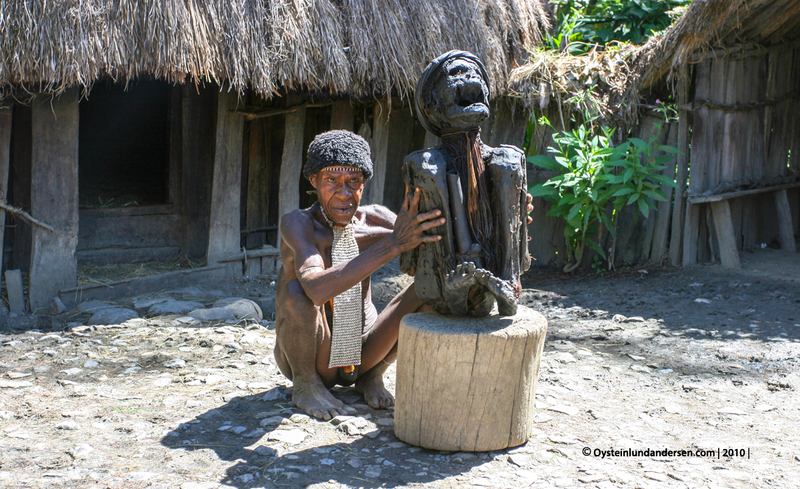 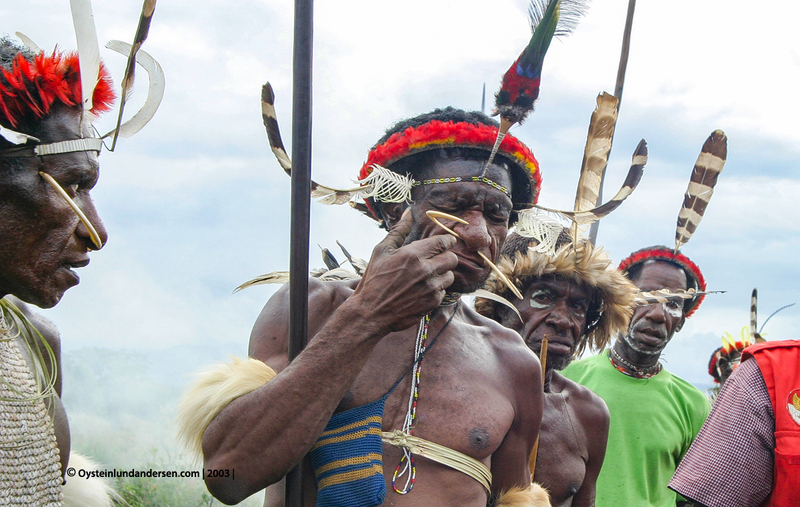 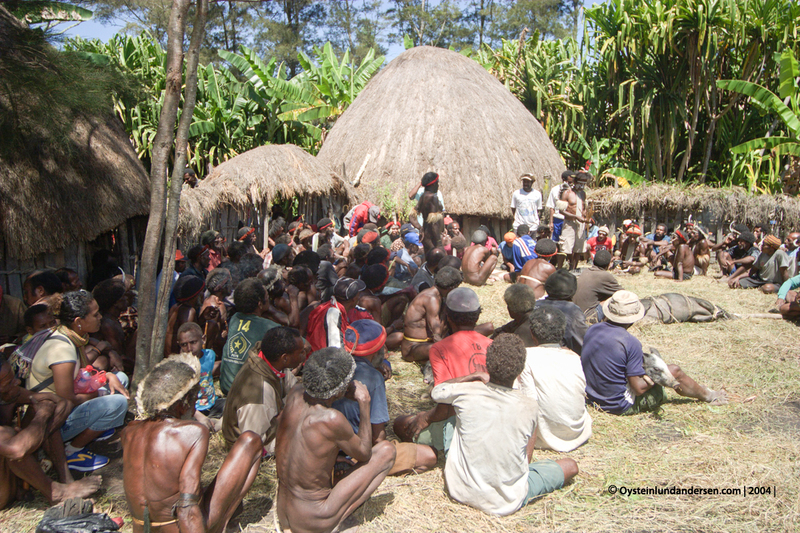 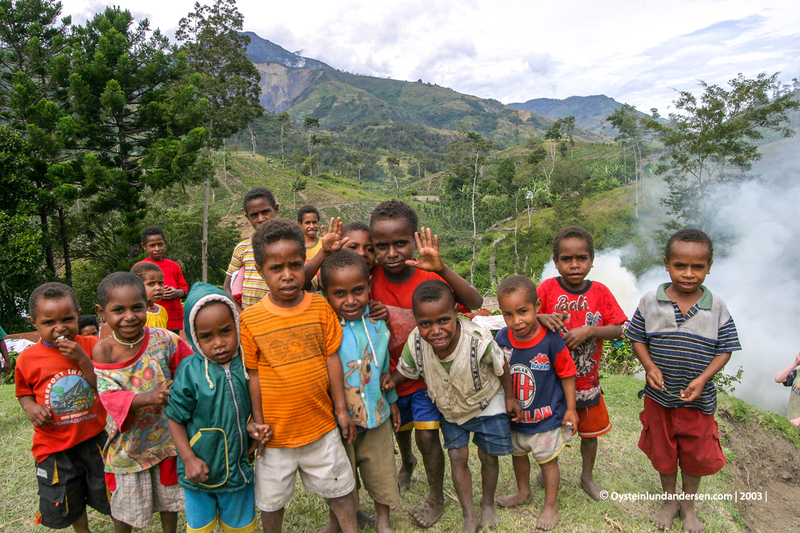 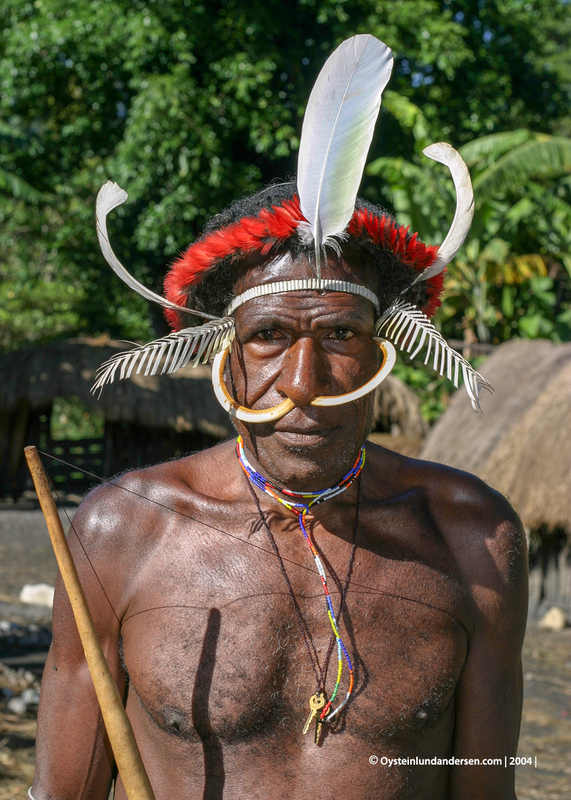 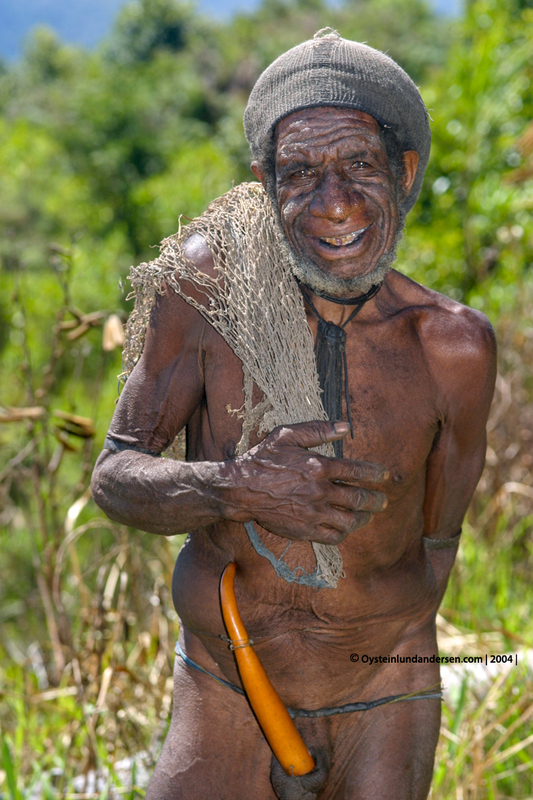 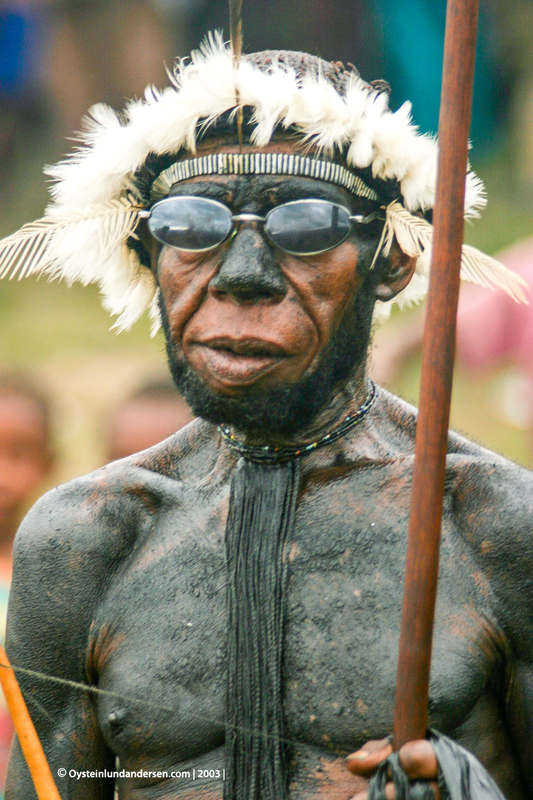 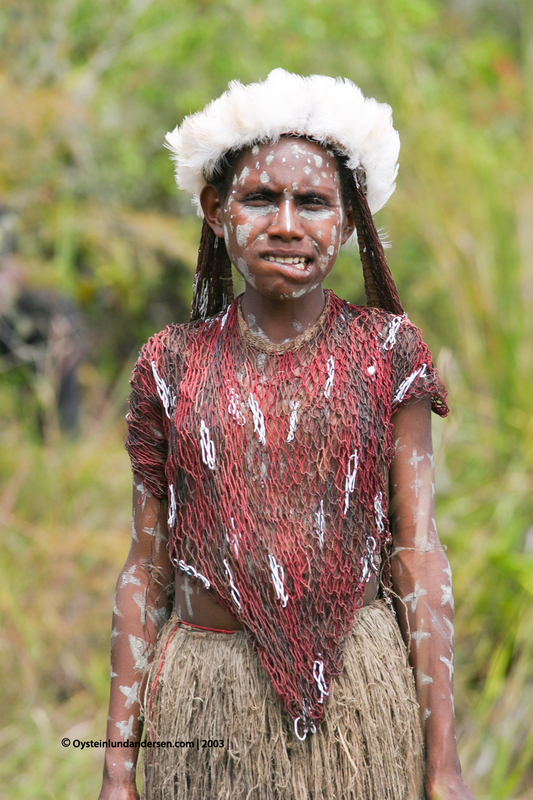 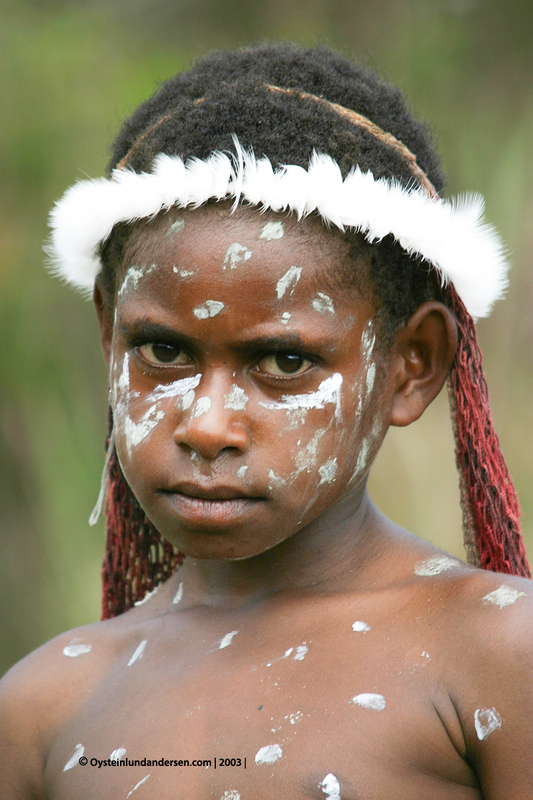 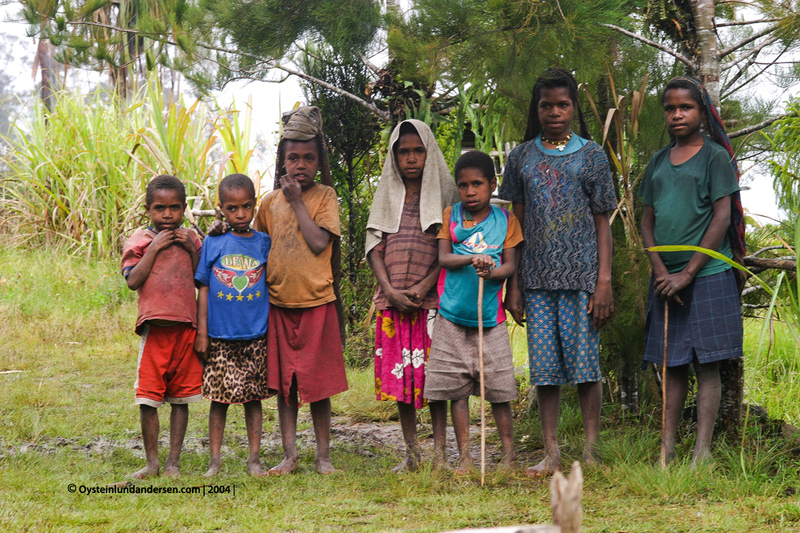 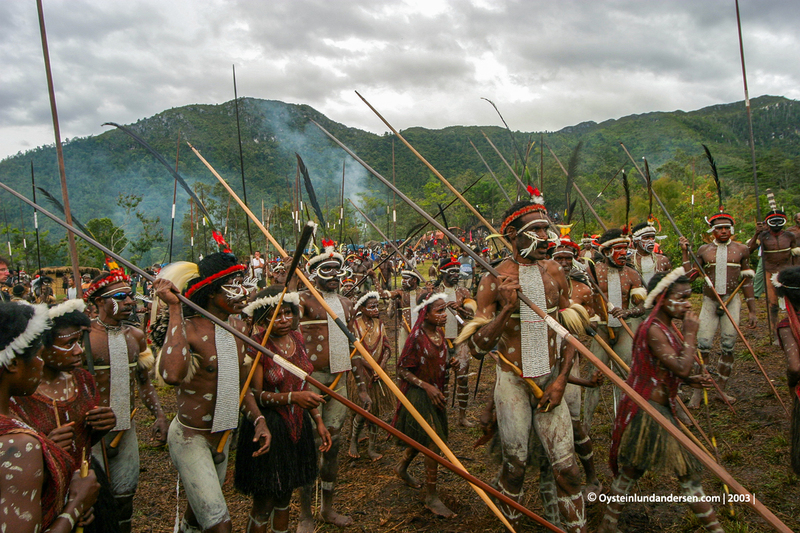 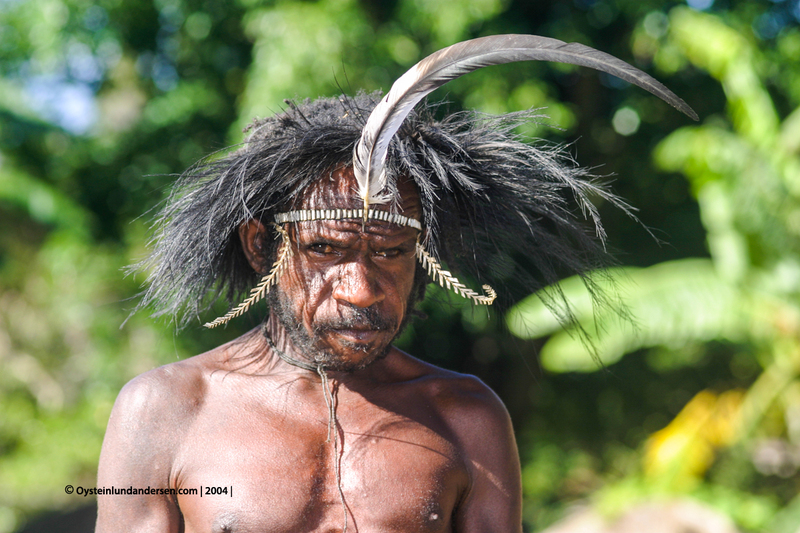 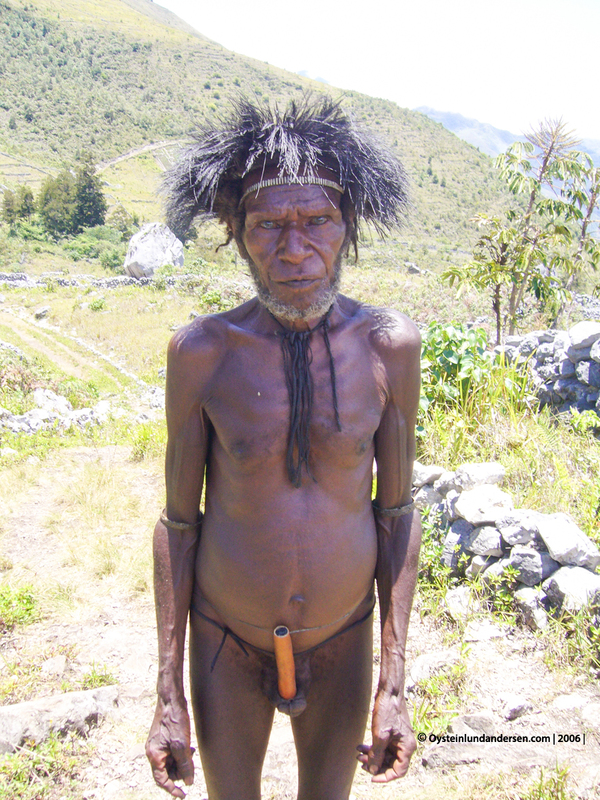 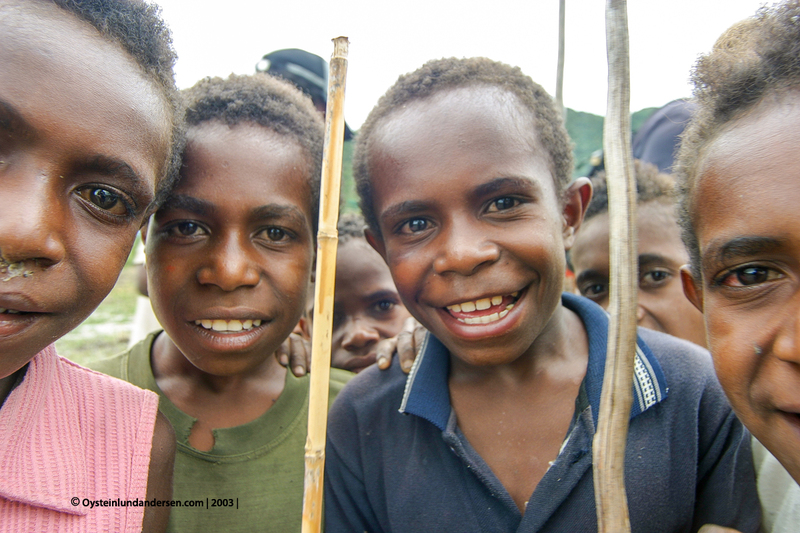 The Dani people are one of the most populated tribes of West Papua, and today number over 220.000 people. 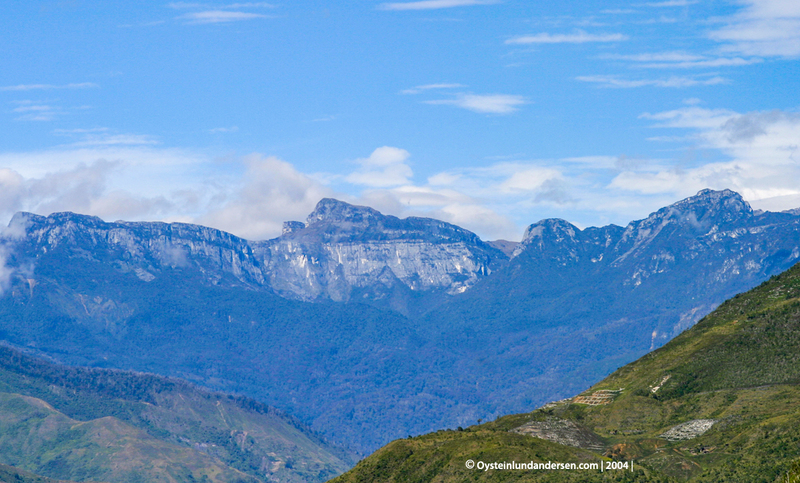 Around 100.000 of these live in the grand Baliem valley, the rest of them to the north, south and west. 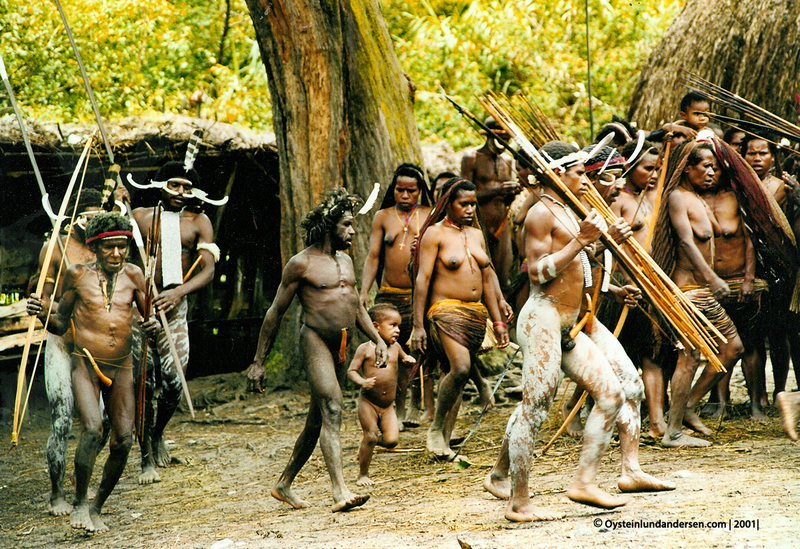 The Dani people neighbour the Yali, Nduga- and Damal people. 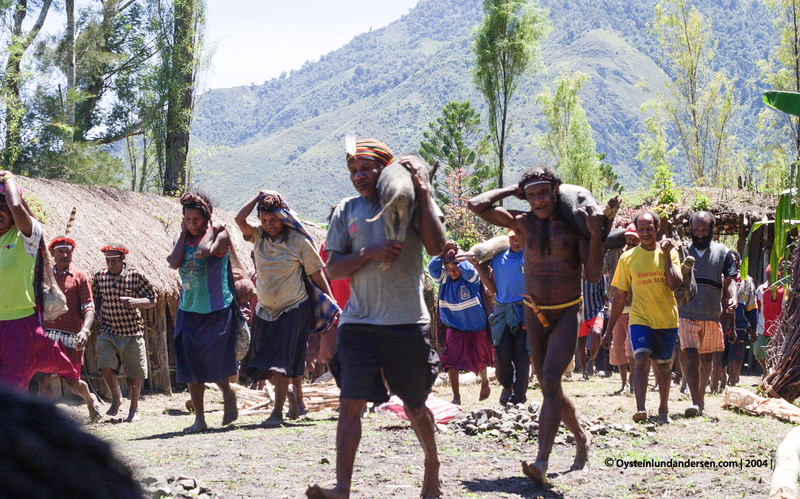 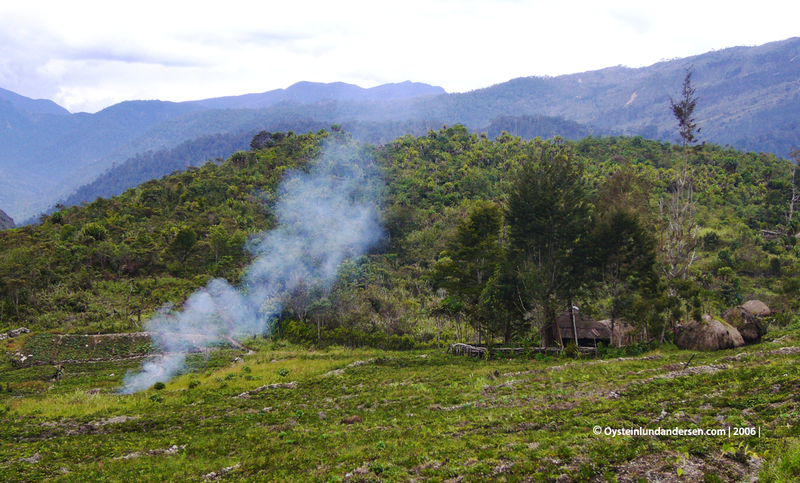 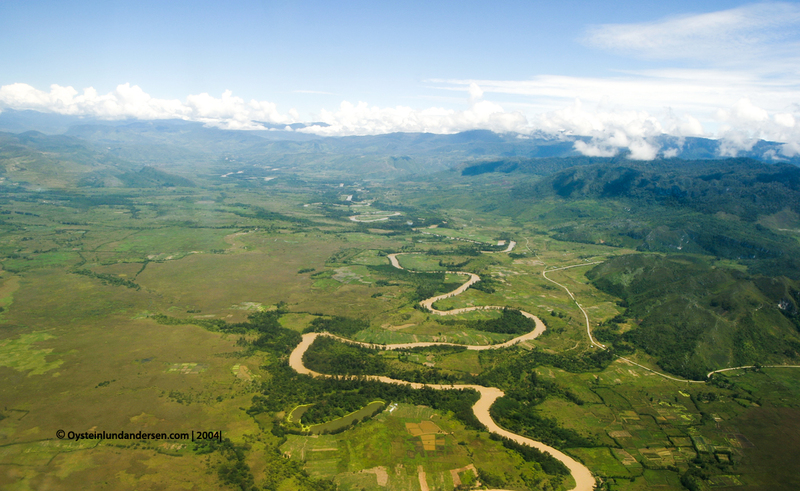 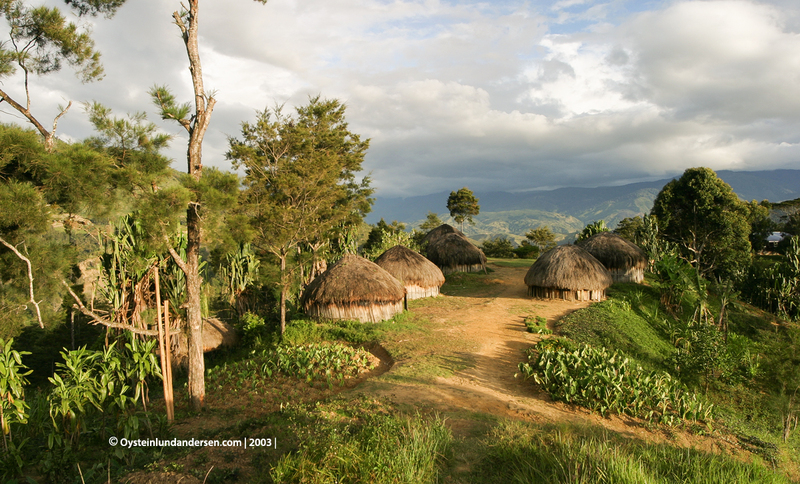 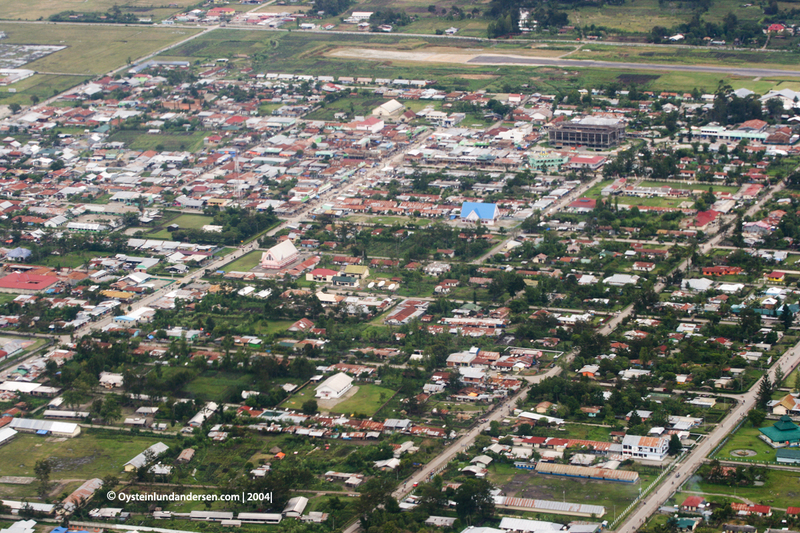 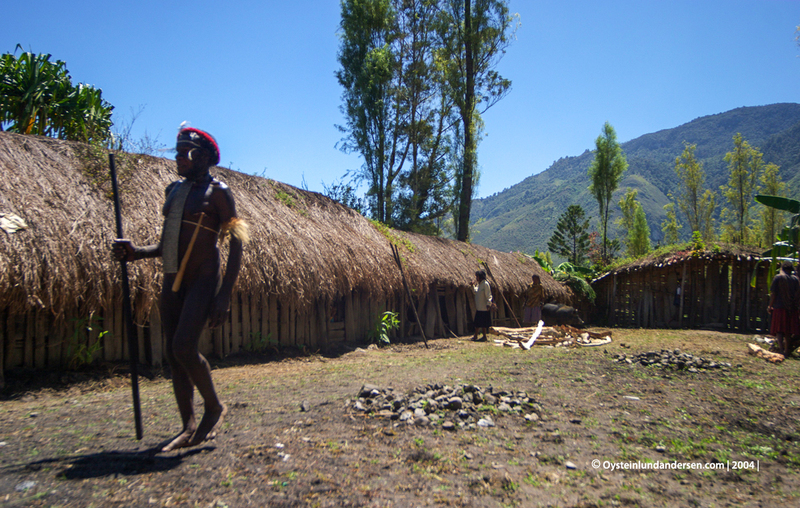 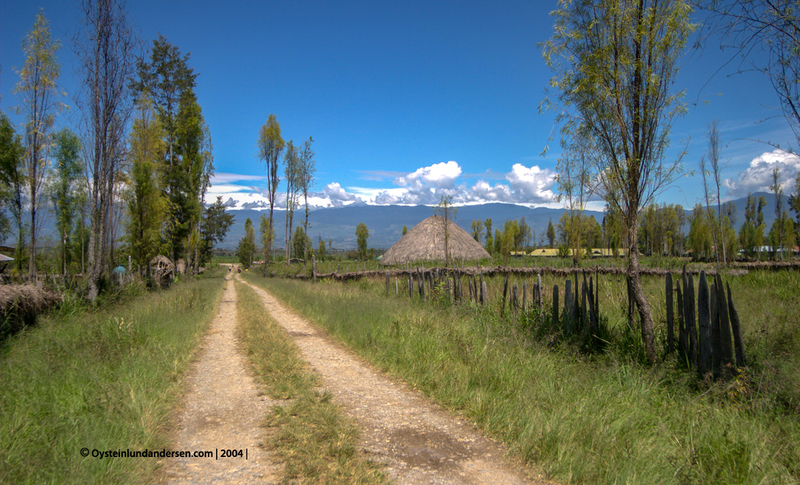 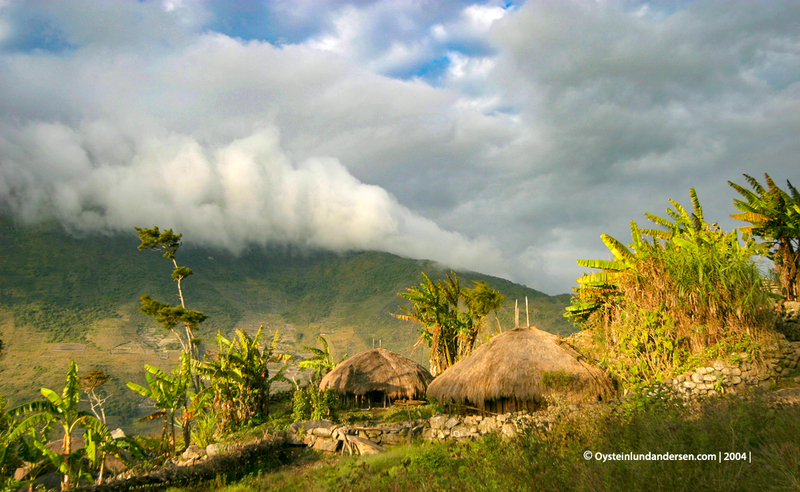 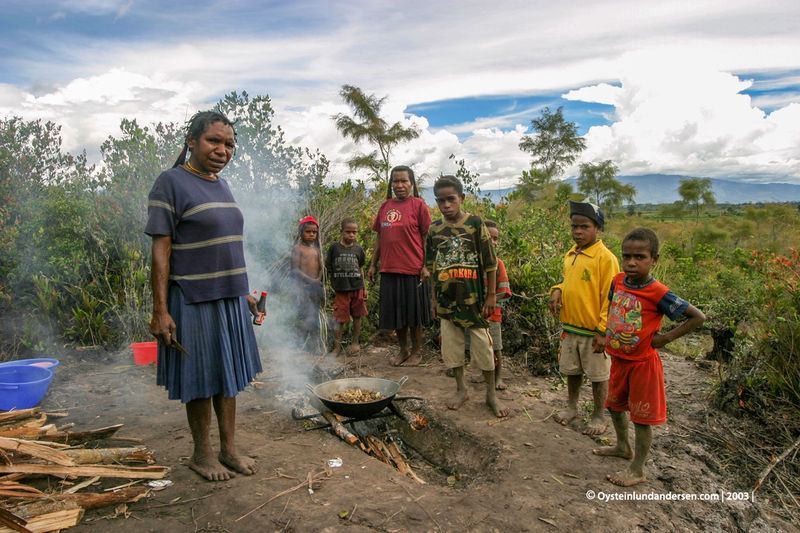 There is one city in the Baliem valley, Wamena, that is a strange mix between Papuan and Indonesian society. 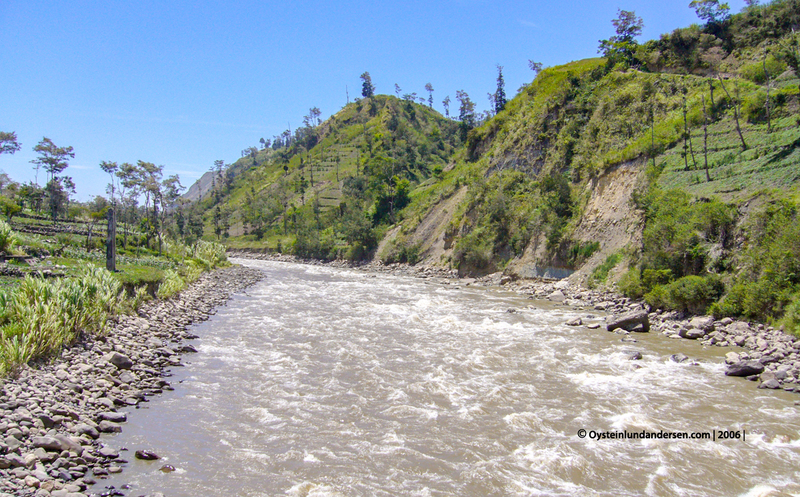 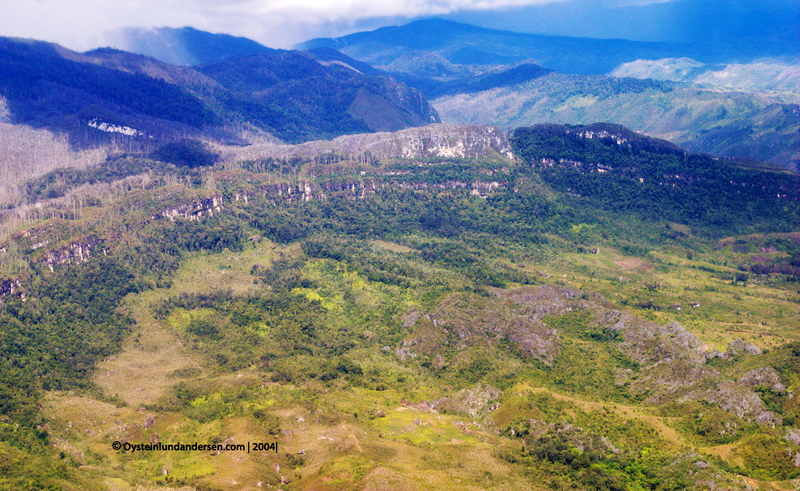 I most likely have visited the Baliem valley more than 10 times over a period from 2003-2010, having lost count because of the frequency during a period when I lived in West Papua. 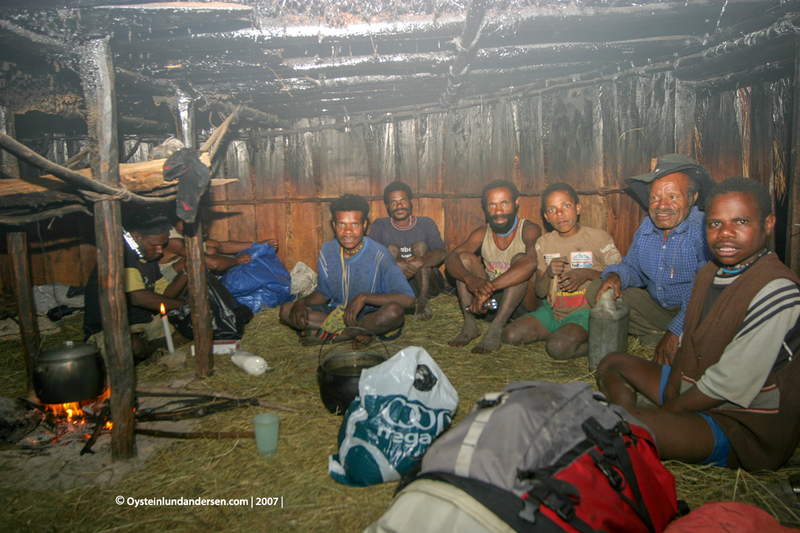 Most of the visits to the area was primarily dedicated to trekking in the area, sometimes, among others, as far out of Dani territory as to the Yali- and Mek tribal regions in the east. 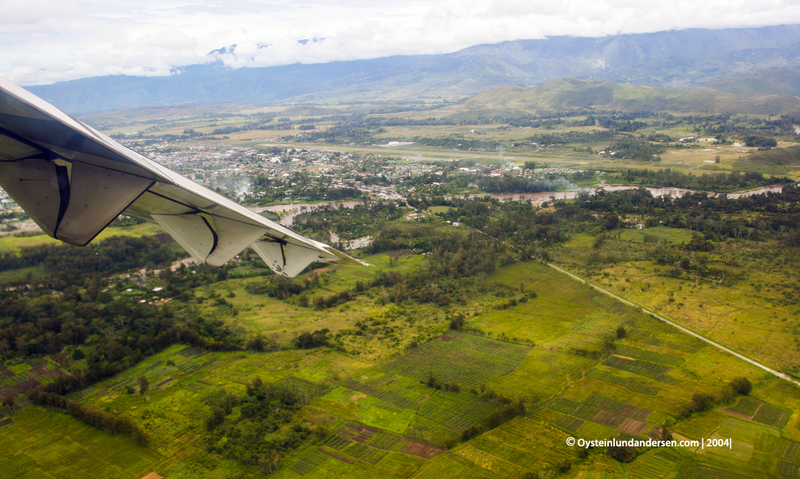 Approaching Wamena, the most populated (and only) town in Baliem valley. 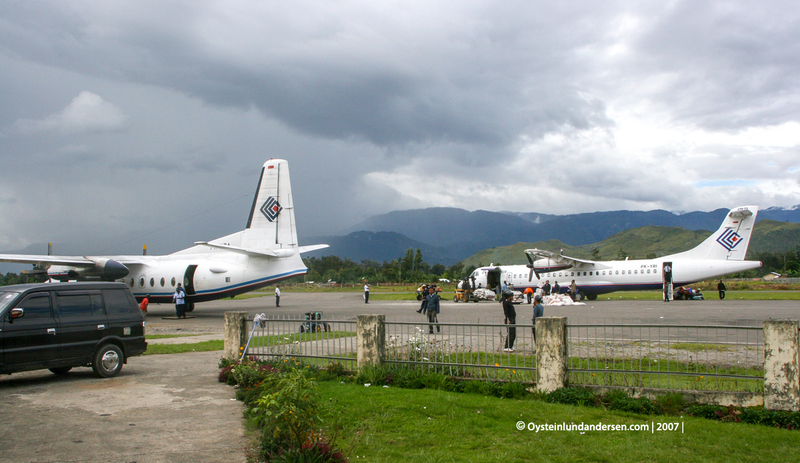 There is no road connection to the coast (as of 2010) so to get there you have to fly in. 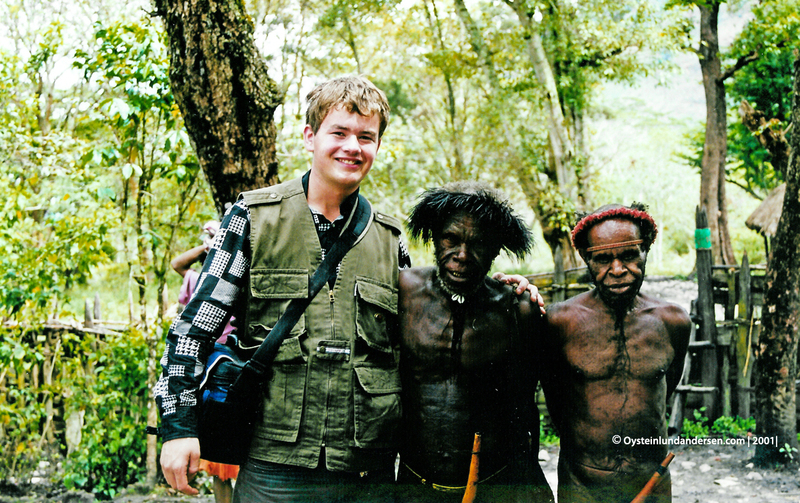 My first visit to the Valley in 2001. 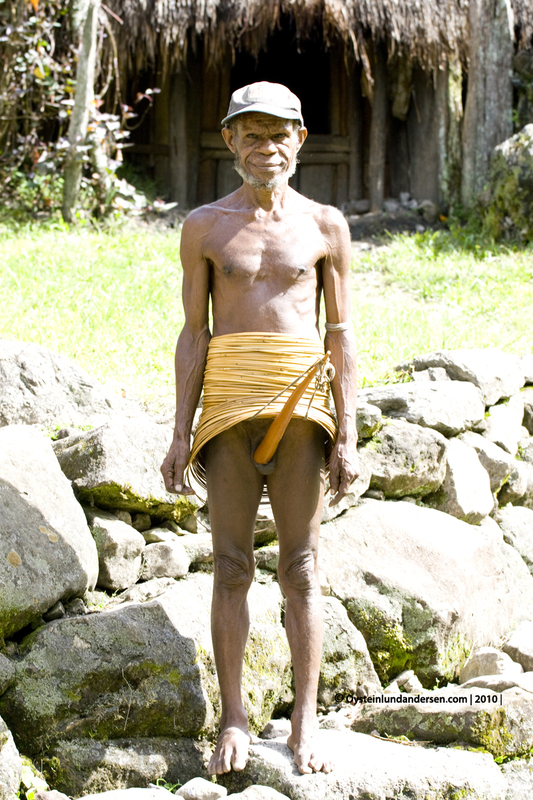 The Kurima mummy. 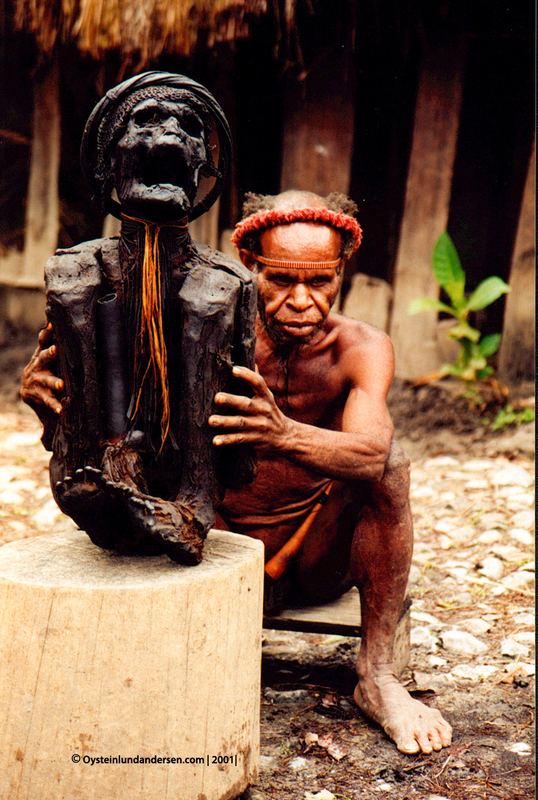 Local legend has it that its a mummified warrior, who died several hundred years ago. 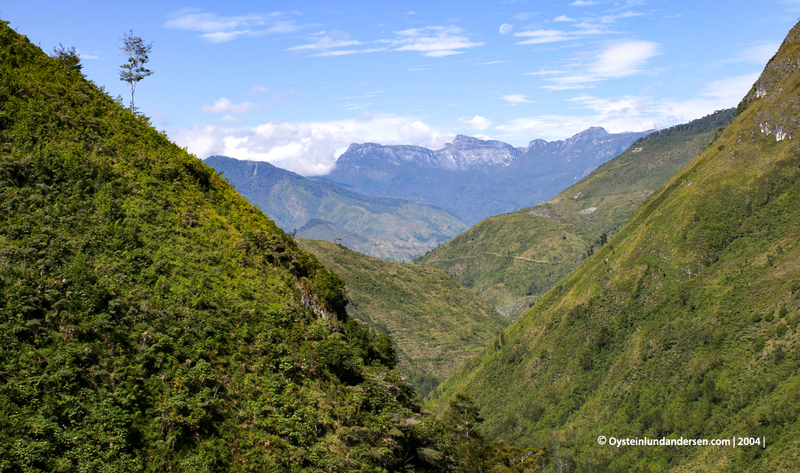 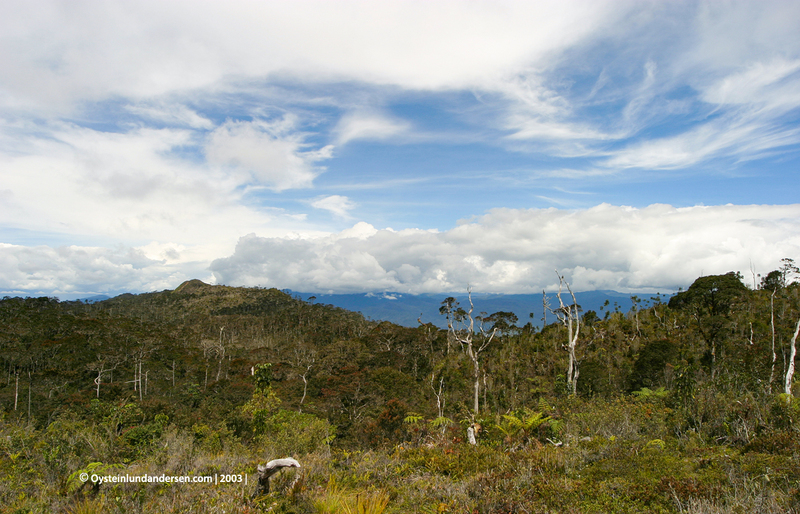 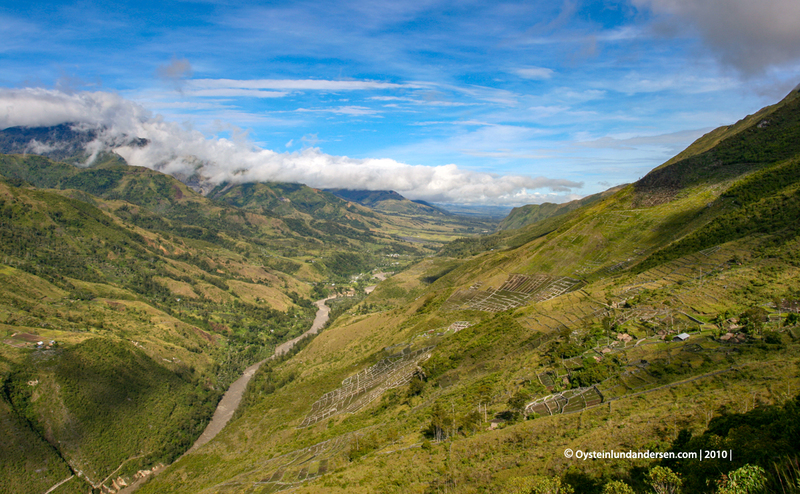 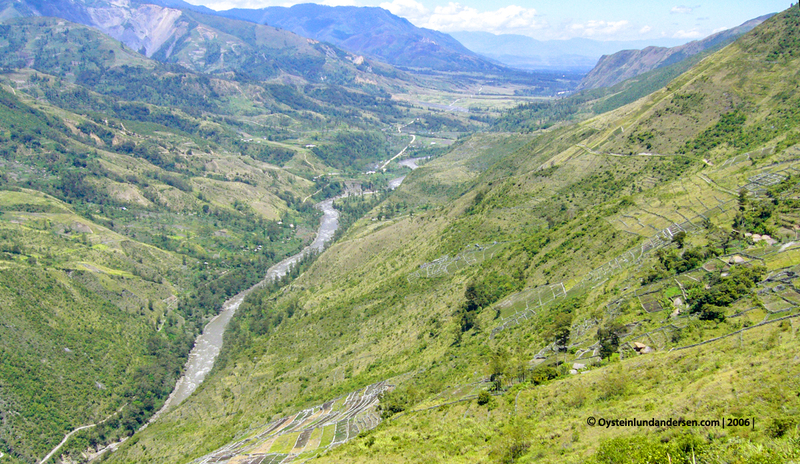 Crossing the mountains between Wamena and Tiom. 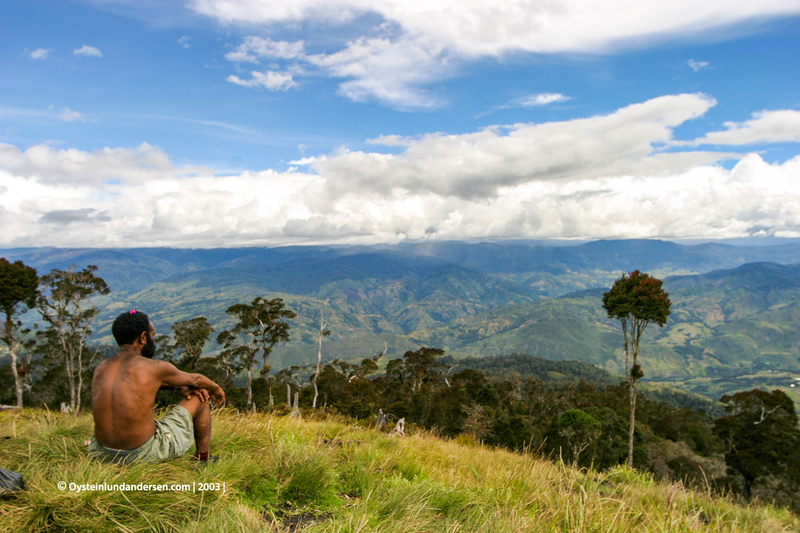 One of my porters resting enjoying the view towards Tiom village. 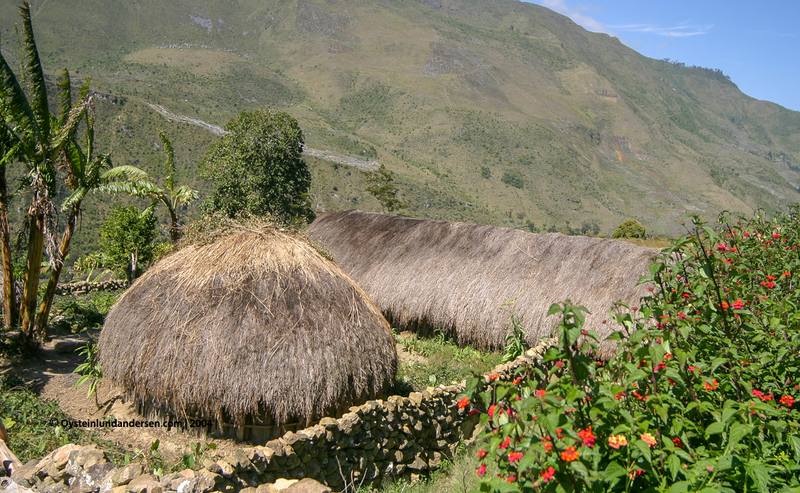 Scenic hamlet on the mountainsside outside Tiom. 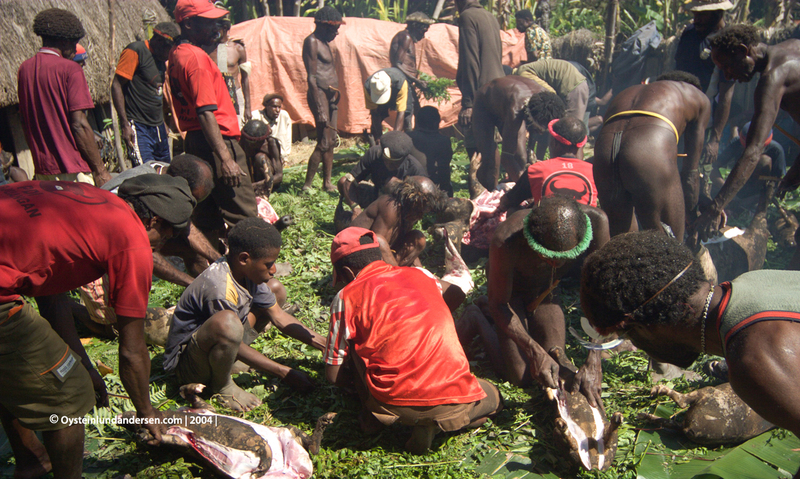 Cultural performance on the Baliem Festival in 2003. 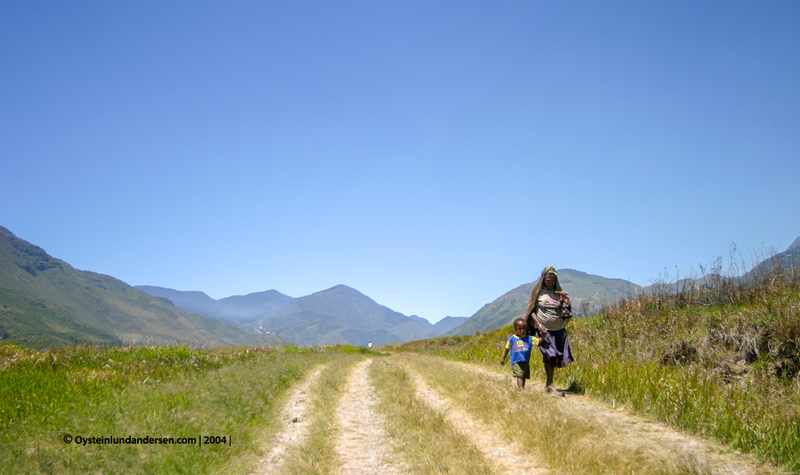 Before the age of phonecameras, a camera was actually something exciting to study. 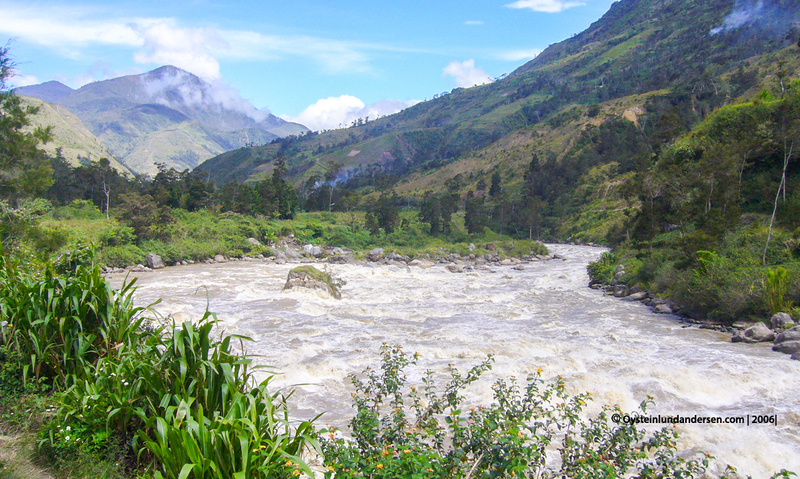 Looking towards the mountains to the SW of the Baliem. 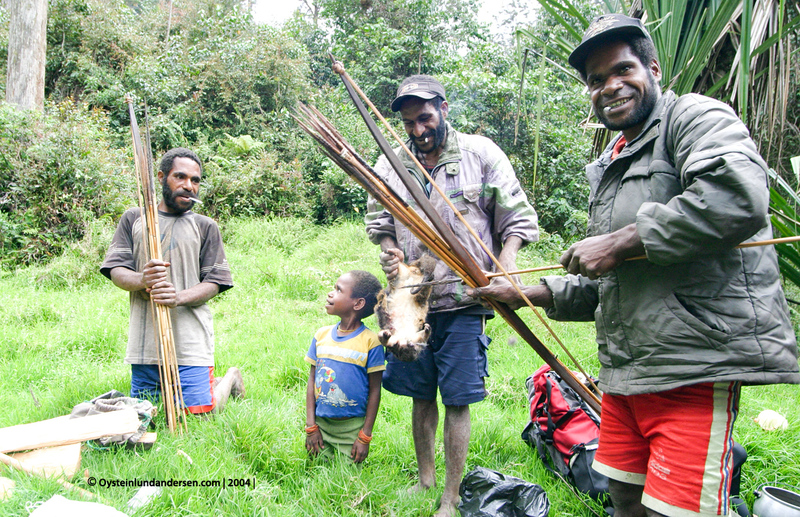 Hunters who managed to get a few Cuscus during their hunt. 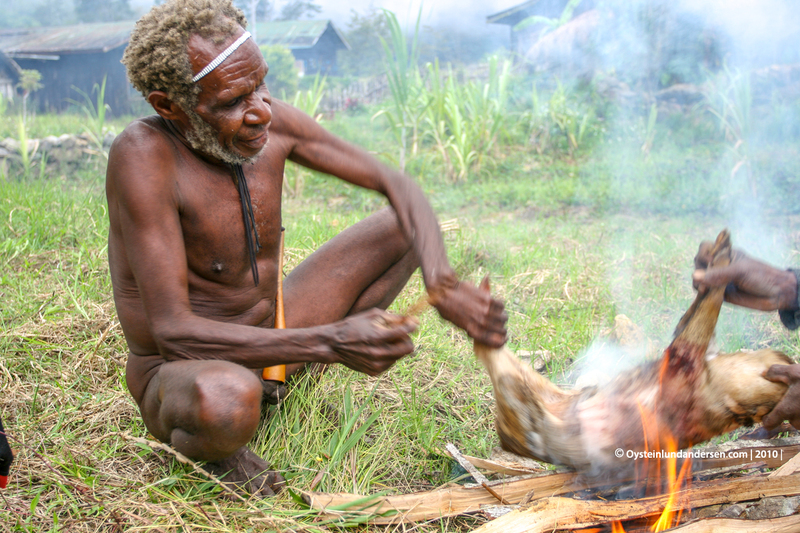 Preparing the Cuscus and sweet potatoes. 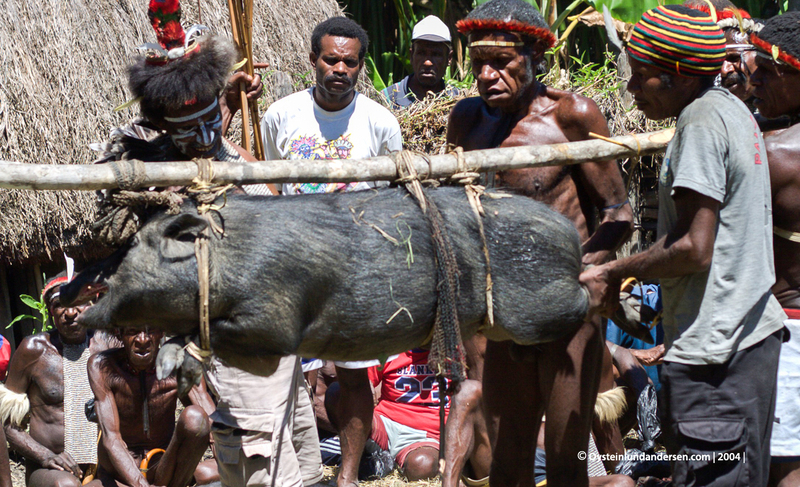 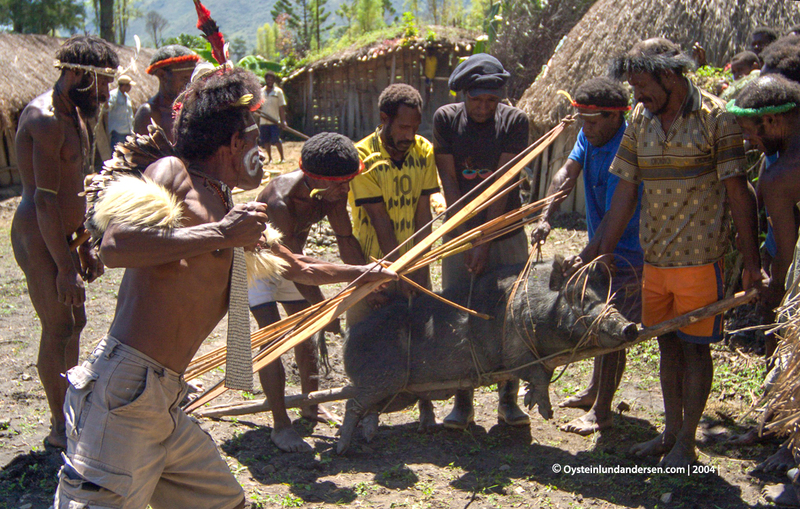 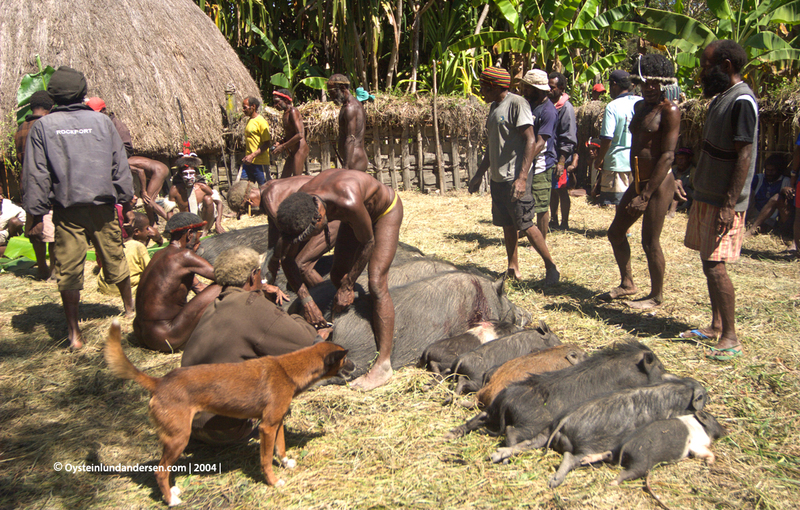 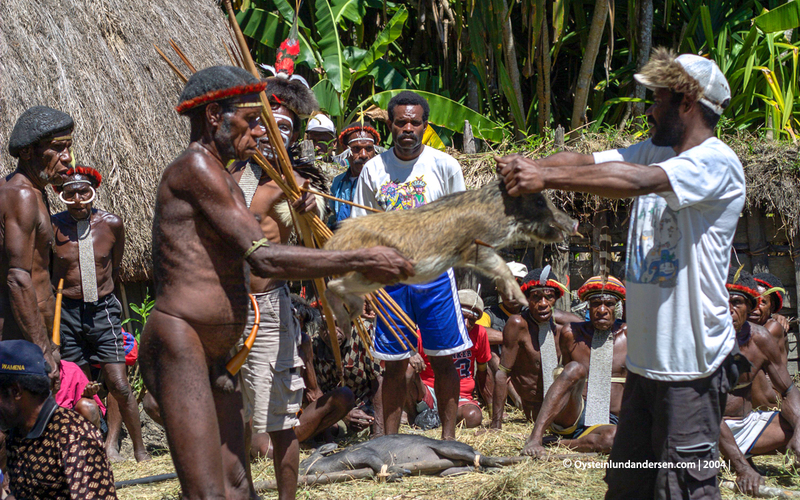 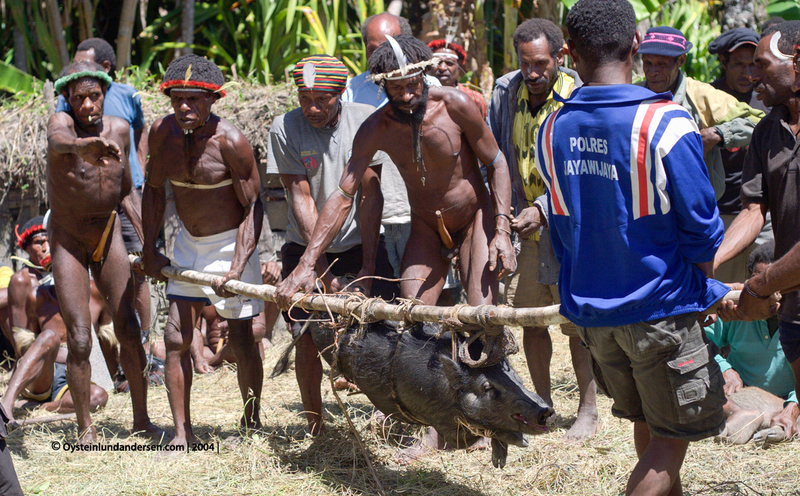 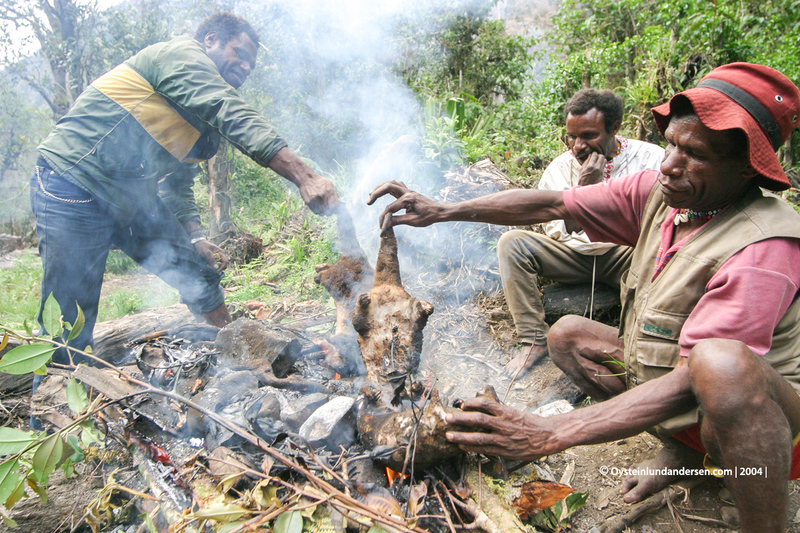 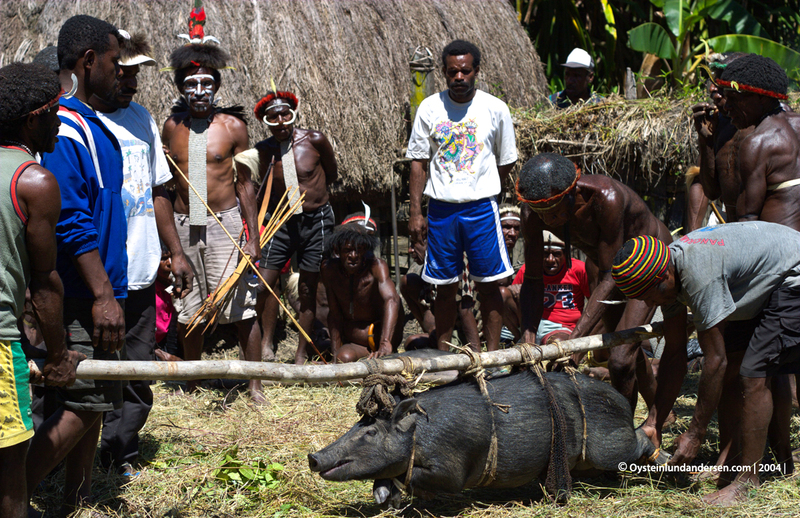 Around 50 pigs were slaughtered during the event, and prepared in earth-ovens (heated rocks placed on top of food wrapped in banana-leaves) called “Bakar Batu” by the highlanders including the Dani. 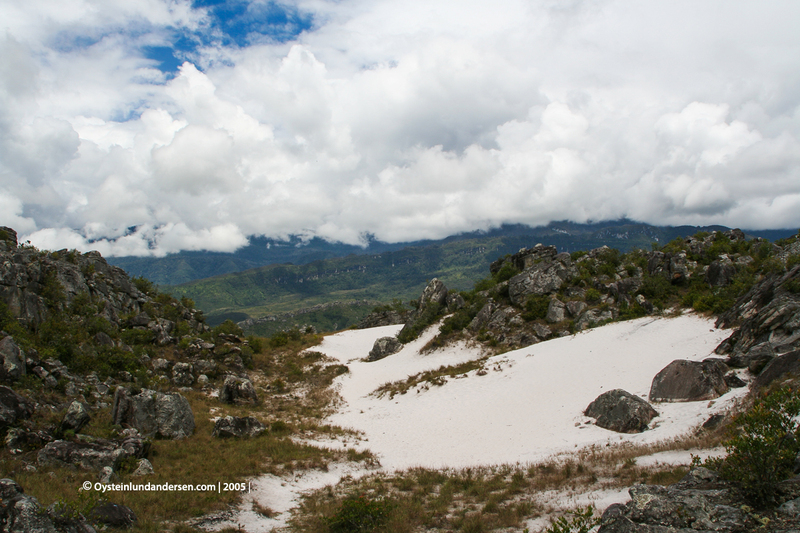 On one of the hillstops in the middle of the Baliem Valley there is a area of pure white sand. 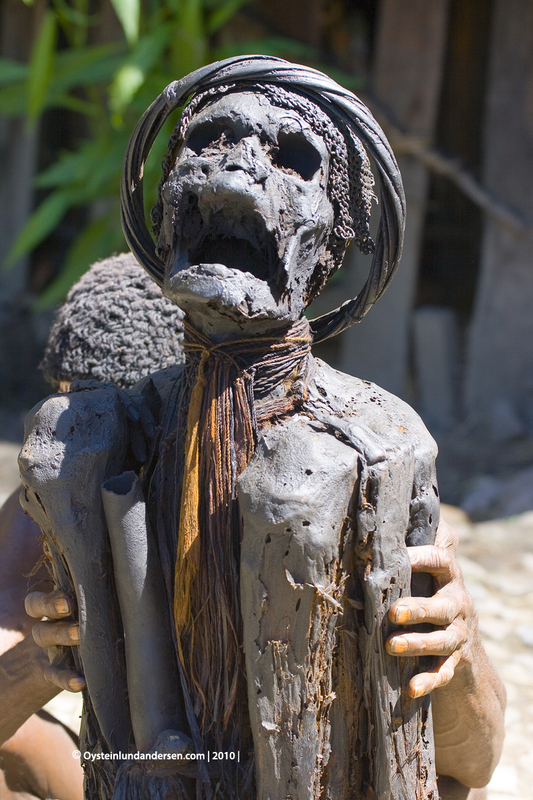 My latest visit the the Mummy of Kurima. 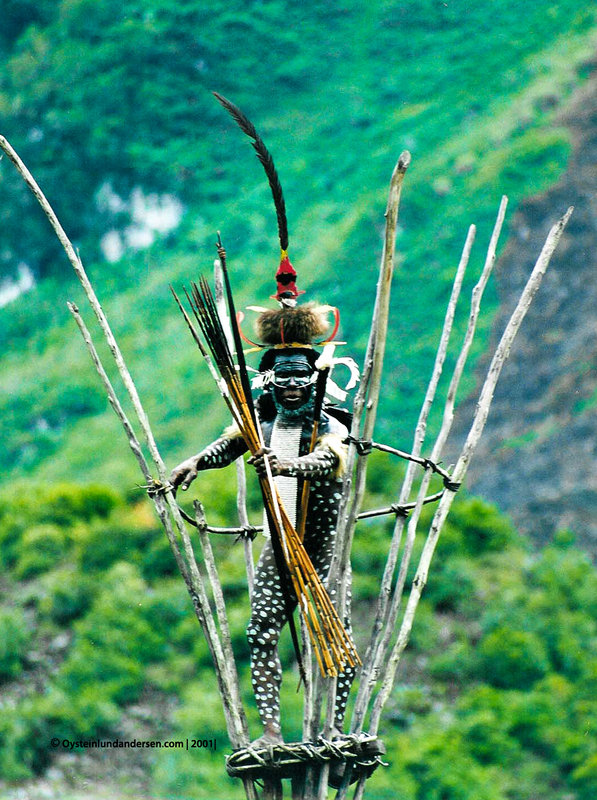 A man belonging to the Yali tribe. 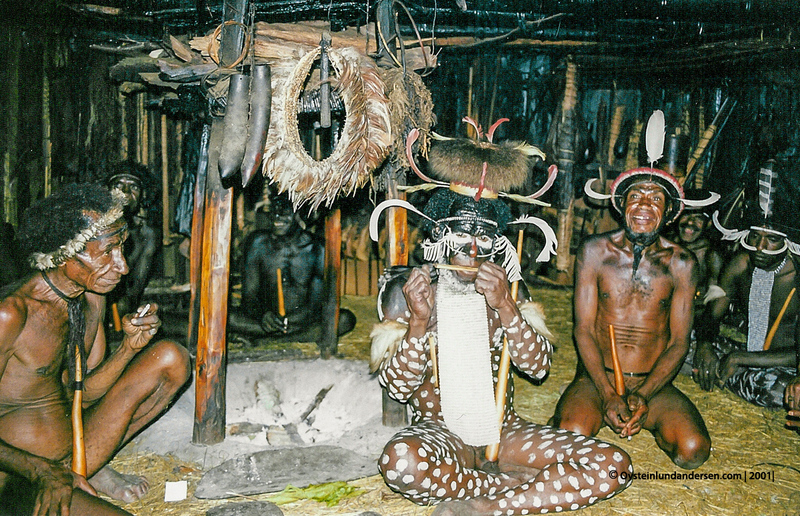 The Yali traditionally wear these rattan-rings around the weist, the Dani dont wear these normally. 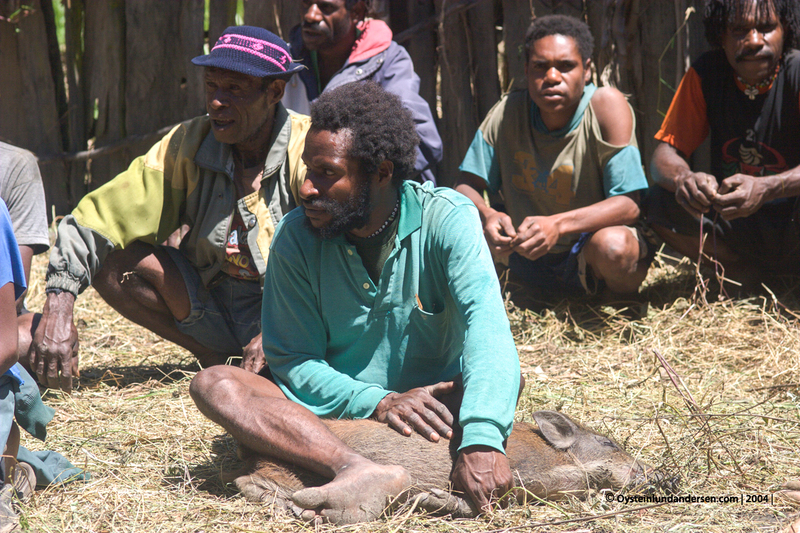 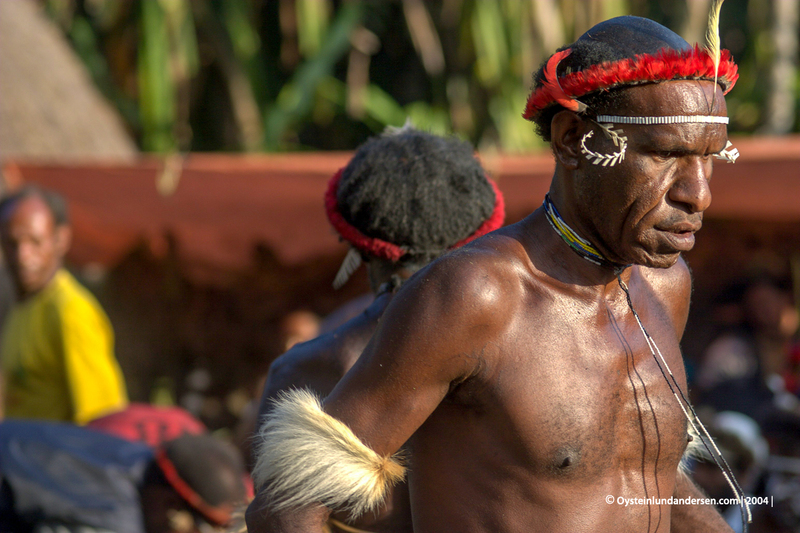 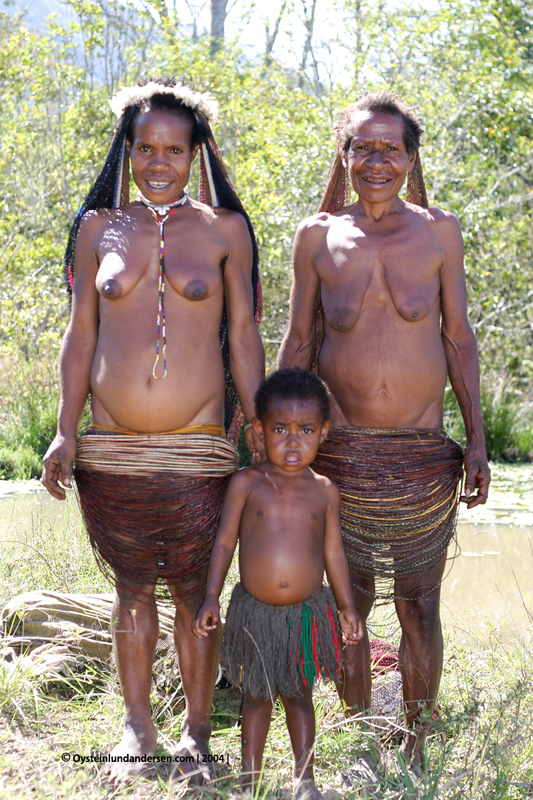 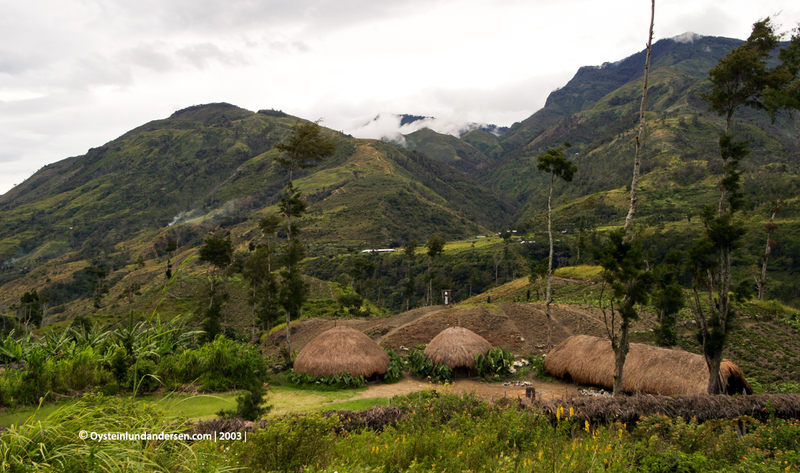 Dani people are an indigenous tribe, which dwelled in the Baliem valley in the time of its discovery. 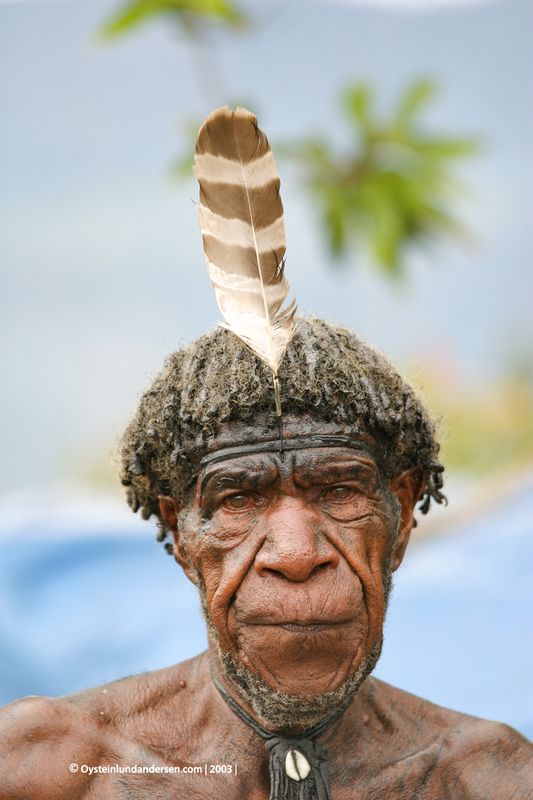 They belong to some the “most decorative” tribes in the west Papua.